"Malaysia may be experiencing a brain drain - and that should be remedied if the nation hopes to move forward - but thankfully she is still able to produce talented youths who could become leaders of the future. Here we have shortlisted 25 bright, young sparks under the age of 25, who are among those we should be looking out for this year." Sekalung tahniah dan syabas diucapkan kepada semua yang tersenarai dalam TOP 25 UNDER 25 bagi tahun 2011. Semoga lebih banyak kejayaan yang bakal ditempa oleh kalian di masa sekarang khususnya dan masa depan amnya. Untuk anak-anak muda Malaysia, ayuhlah kita kutip, titip dan praktik semangat juang yang tinggi daripada mereka sebagai sumber inspirasi untuk kita semua berjaya. Tidak kira dalam apa jua bidang yang bakal kita ceburi, lakukan sehabis baik. Mudah-mudahan, usaha murni tanpa kenal erti putus asa bakal membuahkan hasil yang mampu menguntumkan senyuman di bibir-bibir orang sekeliling kita terutama kaum keluarga dan sahabat handai. 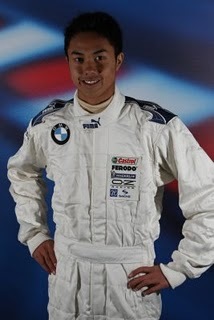 Jazeman rose to prominence by winning the Formula BMW Asia in 2007 in his first attempt. He was then the youngest winner of the competition at just 15. Despite the promising start, he has not been consistent in his fight for a place on the podium over the past three years. During that time, he had competed in Formula BMW Europe and the F-BMW Pacific but did not make too much of an impression. But the Ayrton Senna fan looks to have turned his fortune around in the recent British Formula 3, having two podium finishes in three races for his team Carlin. Expect to hear more from him in the near future. Already an Olympic competitor, Cai Lin even managed to break the 20-year-old record, held by our own Nurul Huda, in the 200 metre butterfly at the 2009 Laos SEA Games. By winning two gold medals in the 24th SEA Games in Korat, Cai Lin confirmed her status as one of Southeast Asia's best. Her achievements at the games saw her being named Malaysia's Female Olympian of the Year 2007, alongside swimmer Daniel Bego, who won the men's category. Last year at the Guangzhou Asian Games, Cai Lin finished an admirable fifth in the women's 400m freestyle final, breaking the national record in the process with her time of 4:18.71. Azizulhasni "Pocketrocketman" Awang bore the Malaysian flag at the Beijing Olympics 2008 and was among the top-eight in the keirin event. The diminutive cyclist then became the first ever Malaysian gold medallist when he won the keirin final at the UCI Track World Cup in Melbourne that year. Azizul has also won a silver medal in the men's sprint event in 2009 World Championship in Poland. He returned to Beijing last year and won the keirin event at UCI Track World Cup, a feat which he then repeated in the same event at Cali's UCI Track World Cup 2010. "Pocketrocketman" is touted as one of the nation's best hopes for gold at the London Olympics next year. Dato' Michelle Yeoh could be earning millions gracing the silver screen, but the young Fong Ying had won over the hearts of millions in the country with her perfomance on the blue platform. The taijijian/taijiquan exponent recently won a gold medal for Malaysia at the 16th Guangzhou Asian Games last year, successfully retaining her titles after her exploits at the previous Asian Games in Doha. Her victory last year was the first gold Malaysia had at the Games, spurring the nation to winning another eight before the event ended in late November. Football fans bemoan the lack of goals in a match but this shot-stopper grew to national fame by preventing the ball from going into the back of the net. The Kelantan-based Khairul Fahmi was one of the stand-out performers at the AFC Suzuki Cup last year. 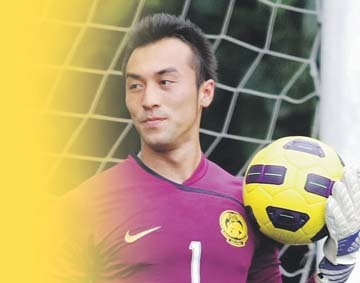 He played all seven games and kept four clean sheets and did particularly well in the finals against Indonesia. One of his most memorable moments was his penalty-saving heroic early in the second leg of the final. The goalkeeper certainly deserves the credits but no footballer could have won anything without his teammates. We hereby salute everyone in Malaysian national football, which has never seen such success for decades ever since its heyday in the 70's. Long may it last. One of the founding members of Friendly Media Rabbit, Syazani is now a 3D Programmer and has been involved in AR development since 2009. Friendly Media Rabbit has been credited for its production of the Tun Mahathir Musical and the album launch of Projek Pistol in collaboration with Neo Gendang Records using AR. Syazani has also nominated his works to Laval Virtual Awards last year and provided AR training and consultancy for local companies and university students. Mohd Hezri's final year project during his university days proved to be the catalyst that helped him to the success he has today. He took his project to the UTP Engineering Design Exhibition and won the gold medal in the Open Innovation category. Encouraged, he decided to take his idea into full development. A year on, Hezri and his partner Ramzan successfully launched Math Quest, a role-playing game that teaches maths to children aged 9-12, on Nov 8, 2010. The game was well received among the students and had appeared in Berita Harian a day after its release. An entrepreneur himself, Michael Teoh Su Lim now heads the YEM aiming to encourage and give aid to the local aspiring business-starters. Dubbed "the movement to promote the spirit of entrepreneurship", YEM galvanizes students and young adults to start business early. Michael has already won Malaysia's Most Outstanding Youth Award and represented the nation at One Young World, the global summit for youth from 192 countries. The Penangite was recently crowned 2010 Global Citizen of the Year during the Global Entrepreneurship Week. He was one of the two winners, the other being Carielle Doe from USA, out of the 44, 489 contestants from 168 countries. 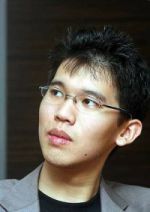 Meet Wayne Liew. 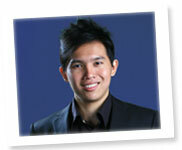 He first got involved in the world of online marketing at the age of 16 in 2006. Four years on, he has mastered different marketing strategy on the Internet and developed a business out of his vast knowledge. 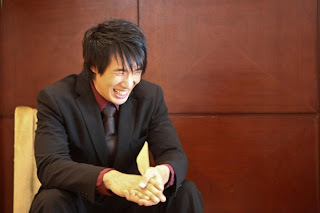 Wayne Liew offers business advice such as skilfully building an online set-up with contents that have higher search engine optimisation, social media marketing and content marketing. Having given up his savings and dropped out of college, Edmund was about to face the toughest times of his life. He used to eat slices of plain bread and saw instant noodle a luxurious meal. Thankfully, that is all over. Edmund pioneered the concept of private labelling in the internet marketing arena, making big bucks in the process. He was placed 29th in Michael Dunlop's list of Top Young Entrepreneurs Making Money Online aged under 25. He now produces PLR to other Internet marketers, authors, publishers, bloggers, speakers and webmasters across the world. We have watched her grow from one of her earliest television appearances in the McDonald's commercial ten years ago. Now she is the Best Actress of the 23rd Malaysian Film Festival (FFM23) for her performance in Lagenda Budak Setan. Prior to winning the award last year, she was also FFM21 Most Promising Actress award winner and fans can look forward to more from her on the silver screen in the upcoming Ombak Rindu and Cyber X: Ancaman Penggodam. She introduced herself to local music fans in a duet with Maliq in Kau Yang Punya. She has never looked back since. 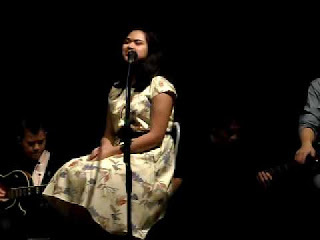 A talented singer and composer in the jazz/soul genre, surprisingly she has yet to sign for any record label. Though that did not stop her from performing in gigs and continue writing her songs including Innocent Soul, Impian Terindah and Your Love. Contrary to the mainstream pop culture, Najwa's soothing jazz gives much relief to our tortured eardrum. She released her debut album Innocent Soul in December last year under her own Nada Biru Records label. Yunalis Zarai began writing her own songs at 14, and did her first performance at 19 after learning to play a guitar. She started out as a Myspace soloist, where she gained a strong following and led to her rise to prominence in the Malaysian indie music scene. 2010 proved to be her breakthrough year as she won four awards, including Best New Artiste and Best Song with her Dan Sebenarnya, at the 17th Anugerah Industri Muzik. She was the star in the late Yasmin Ahmad Orked trilogy, in which she played the title character. The first two films of the trilogy, Sepet and Gubra brought her the two awards she had won thus far. Her performance in the latter made her the youngest winner of the Best Actress Award at the 16th Malaysian Film Festival at 20. Other notable movie she had appeared in including Cicakman 2 - Planet Hitam, Possessed and Muallaf. The 24-year-old is now trying to follow Yasmin Ahmad's footsteps. She directed her debut short film Sangkar last year. Shafie's appearance in Yasmin Ahmad's Mukhsin won him 2007 Malaysian Film Festival Best Child Actor award at the age 15. Two years later, he won Best Supporting Actor for his role in Talentime, another work by the late director. Without a doubt, Shafie would have enjoyed working with Yasmin. Following the death of the award-winning director, he had since largely been unheard of as he mourned his loss and concentrated on his studies. Now seemingly keen to revive his acting career, he is now taking part in the production of Songlap, in which he portrays the character Ad. At just 19, Shobana has already represented the country at the 1st Microsoft Innovative Students' Forum at KL in 2009. There she met four other students from Indonesia, Thailand and Malaysia and came up with Children Behind Us, a campaign that gives fundamental literacy to underprivileged children in the region. "Education has always been very important to me and the rest of the team, which is why we came up with the idea," she explained. The campaign had been running projects in Jakarta and KL. 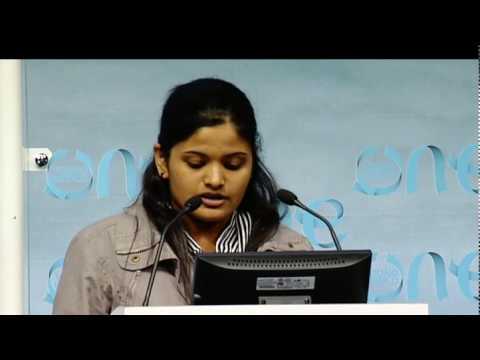 Her commendable efforts to won her a KLue Blue Chilli award last year. Another KLue Blue Chilli award winner, Zi Hao is a fine-artist who believes history and culture add substance to a design and without them, the design is superficial. Back in 2008, Zi Hao had already started Project Semai, an independent project that promotes creative thinking to students long before they begin tertiary studies. In his KLue profile, Zi Hao explained there was a lack of exposure, awareness and understanding, which is what Project Semai strived to overcome by exposing fine art to children at an early age. C : Committed compassion to all. A third winner of 2010 KLue's Blue Chilli Awards in this list, John-son heads the Extraordinary People Impacting Community (E.P.I.C. ), a programme focused on raising living condition for Orang Asli, the Malaysian indigenous community. E.P.I.C. has recruited almost 300 volunteers and its members have built a toilet, painted 10 houses and even registered 45, 000 new voters through their Voice Your Choice campaign in 2010 alone. A winner of 2009 KLue's Blue Chilli award, Jin has seen his album Jinius At Work released to critical acclaim in March that year. The production took three years of his hard work and it has certainly bore fruit for the rapper with its positive reviews. Touted as the 'saviour' of Malaysian hip-hop, the MC is a member of Rogue Squadron, a collective of the genre enthusiasts and talents. Jin has been helping in organising gigs including The Bomb Shelter, featuring live performances from local MCs and DJs. Jin is now working on his second album and has recently unveiled his latest single Selamba featuring Yuriz Joe and Schizzow. Be prepared for more killer punchlines from the "Jinius" in his upcoming album. The co-founder of MyCJN is a green activist, heading campaigns revolving around environmental issues, inter-generational justice and social equity, poverty, women's and indigenous rights, among others. "MYCJN is a network of environmentally-concerned youths," she said during an interview last year. She met Eco Singapore founder Wilson Ang when she was 22 and was inspired by his aim to create over 100, 000 green jobs such as postal service and eco-travel. The PR graduate now boasts 2006 Young Environmentalist Award, 2009 KLue Blue Chilli Award and 2010 CLEO Young Achiever Award in her impressive CV. Architecture student Afiq won the Astro's Nextgen Contentpreneur Award (NCA) 2010 with his short film Maria, which he edited in his bedroom. According to Afiq, he recruited his cast and crew members for the video in less than 24 hours through Facebook. Prior to making his award-winning footage, Afiq has also won the Malaysian Airline Short Film Competition. His entry was played in all MAS airplanes for a month. 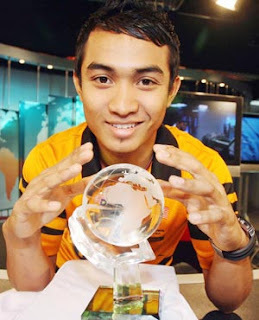 Afiq was among the five students commissioned by Merdeka Awards 2010 to make a public service announcement which was screened on Astro Ria. The UTAR undergraduate teamed up with her friends Daniel, Poh Yee and Helen and created a drama depicting the intriguing short story of Sybil Kathigasu. It won them the NCA Documentary Award. The fledgling video makers re-enacted the scene of the historical figure being tortured and captured the hearts of viewers and judges alike. Shu Chyi's talent in making documentary was also recognised at the 6th Malaysian Students Film and Video Festival where she won Best Direction, Best Editing and Best Documentary. A self-proclaimed enthusiast in fashion and passionate about art, Evon Tan is probably better known as a model - her part-time job - than a wardrobe stylist. She was in the Lenovo TV commercial and held the title 'Miss Best Skin' in Project Racequeen Search 2007. Furthermore, the curvy poser has seen her images splashed across the front cover of FHM and has appeared in magazines American Photo, Extremekars and Pet's Lover. Could she be Malaysia's Next Top Model? At only 23, Koh Yung Shen "Schizzow" has achieved what most youths are still aspiring to be. 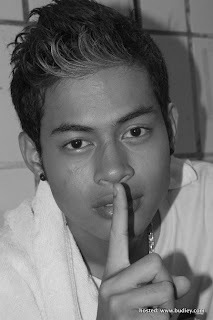 He is among the rising stars on the Malaysian hip hop scene and has performed on stage alongside rappers Point Blanc and Jin Hackman. He is also a hell of a graffiti artist. He even won a competition back in 2007 in his hometown Penang and often imbued the style of graffiti into his designing work. Not one to rest on his laurels, Schizzow is looking to start up a business primarily based on the hip hop culture. Do check out the Swagger Salon group in Facebook and yes, he is the head honcho, too. Talk about starting young, Jeshaiah did exactly that when he began reading his first newspaper, aged 18 months. The 12-year-old had only recently completed his O-Levels, an equivalent to the SPM, and has started his A-Levels. Jeshaiah was spotted at the Star Education Fair earlier this month and is said to be looking for a degree programme in either Renewable Energy or Astrophysics. The wunderkind with a big heart is passionate to help save the Pale Blue Dot. According to The Star, the math and science enthusiast said: "The Earth is getting so polluted, and petroleum, which is a big source of energy today, is running out so we have to do something about it." endnote : To those yang takde gambor tu, memang tak jumpa nak cari. Sape-sape nak kenal depa ni, tryla google sendiri. Dah cari tu, sambil-sambil baca apa pencapaian mereka. Masing-masing dengan kehebatan dan kelebihan sendiri. Pencapaian yang boleh dibanggakan. Untuk maklumat lanjut, silalah klik di link-link yang disertakan dalam entri ni. "pemuda harapan bangsa, pemudi tiang negara"
Young generation, let's we try our best at what we good at! btol ke azizulhasni tu baru 22 tahun?adeh..sebaya kot..